Product listing ads are a must for any ecommerce merchant and as the holiday shopping season is now in full swing, it’s important to check your PLAs (and check them twice!) for these common mistakes so that you’re not missing out. Your feeds are your lifeline in ecommerce, so it’s important to have the freshest feeds possible. It’s a common mistake to only upload feeds every 30 days, but as an ecommerce merchant, your store is constantly changing. Your stock status, pricing, new products, and discontinued items are all important feed parameters that have to be correct and up to date to ensure your products are displaying correctly. Set your feeds to upload on a daily basis to ensure that Google is current with your store. 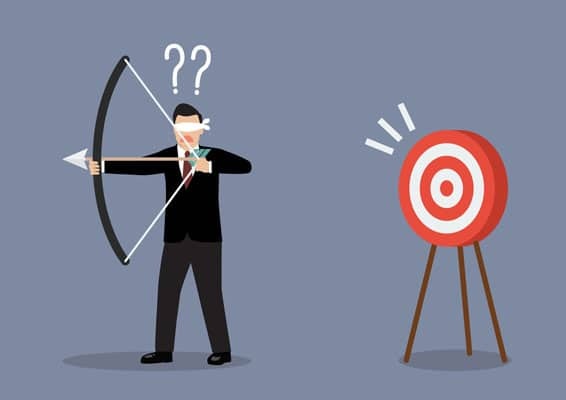 When you focus on only one or few product targets within PLA campaigns, you’re not accurately representing large groups of products with different characteristics, buyers, and profit margins. It’s like throwing all of your products at the wall and seeing what sticks. This type of strategy (and mistake) also means that you can’t use negatives to control traffic spend to specific products – Google will end up deciding what serves on your behalf for each query, which it may get wrong. Plus, you’ll end up bidding too high or low for the majority of these products, causing truly inefficient campaigns. Instead, build out multiple campaigns so that you can not only better target searcher queries and buyer intent, but you can also better manage your spend. Start by breaking out your campaign by the product categories you use on your site as they are natural breaks in your stock. If it’s too broad, break it down into brands and start getting more granular. For many business owners, they’ll consult with a CSE management agency to assist in the build-out so that they know that they’re doing it well from the start (the CSE team at Omnicore can help with this, too!). Otherwise, just take the time to do it right, rather than shred your ROI. When a bunch of retailers sell the same stuff, how can a customers differentiate one from another? The key is in the marketing and if you’re not using Merchant Promotions in your PLAs, you’re missing out on a huge opportunity to sell to your customers. Merchant Promotions allow for you to stand out from the crowd by creating offers on specific items. These promotions can boost both clickthrough rates and conversion rates, so it’s a wonder that so many brands do not use this feature effectively. To start using it, you’ll need to get yourself into the beta test, so get on your Google rep or team to get you an invite to the feature. Sure, your team may call this item one thing, but do most searchers even know what you’re talking about? Be careful of what is showing up as part of your PLAs, particularly in regards to product names. Jargon won’t come across well to searchers, even if it’s what your team uses internally to recognize products. You have to show and say explicitly what the item is to get a better return. For example, if you sell dresses and you have a designer called Molly Molly and one of her dresses is red, has a retro wiggle dress silhouette, and is named The Stunner, you wouldn’t want your product name to be just “Molly Molly – The Stunner” in your PLAs. Instead, describe the item so that you’re capturing more audience segments and user intent, like “Molly Molly Women’s Red Wiggle Dress – The Stunner”. Sorry, folks. This is a no-no also. Traditional CSE feeds are all about categories, so categorization plays heavily into their success. However, within PLAs, it’s all about matching individual products to queries, not categories. Your PLA feeds need to show intent signals in their key fields in order to be served up, so using the same feeds as other CSEs without those signals can be a lazy mistake that costs you a bundle. To correct this, be sure that you’ve updated your key fields with commonly searched values, rather than just the manufacturer or brand name, colors, or materials. 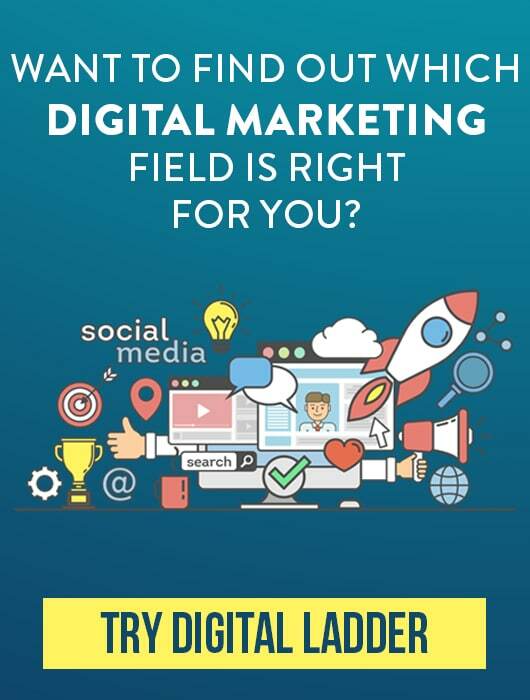 Think about what the searcher is looking for and why – and then input that into your fields. Your product titles can be optimized for better performance, both in content and in length. First off, make sure that your product titles are 70 characters or under so that they can display completely in the Google shopping results. Next, be sure to look at your product titles and analyze their structure to see if they can be improved. 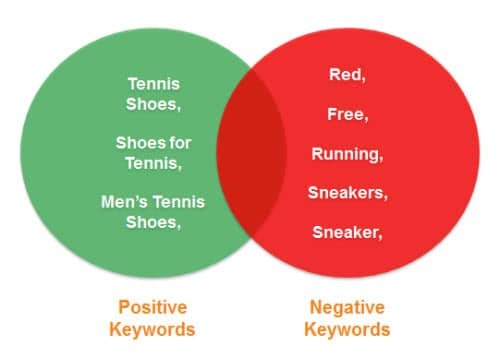 You want the keywords to be important and titles to be easily searched and recognized for maximum impact. 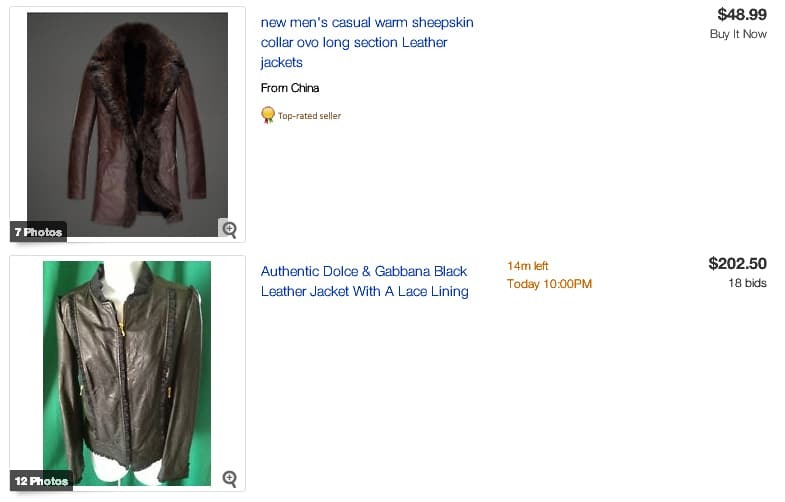 A recommended structure (and this depends on your industry) is to put the most important or specific keyword first, followed by a general category keyword and then product name/model, and manufacturer if you are selling through your own store however if you’re selling through a platform like eBay turning the order for example in the picture below a well written title out performs a Top Rated seller and a lower price. Not including negatives in your PLA campaigns is like putting all of your keywords on broad match and expecting a good return. Simply put, it’s not going to happen. When you don’t include negatives, you’re allowing for Google to serve up your products to whatever queries it thinks it might be relevant, which can drive up your spend and drive down your ROI. C’mon – we all know that Google can get it wrong. You need to make sure that you’re serving products up only to qualified visitors, so paying attention to negatives in your campaign setup can make a huge difference in the long run. Start by reviewing your search query reports for truly bad matches to your products. Those are the phrases to start adding in to your campaign negatives. Also, use some common sense – if you know a brand or a product name can have multiple uses or meanings, be specific with that (for example, Diesel Jeans and Diesel Fuel are two completely different things). You’ll also want to decide in which products you want to show for particular market segments so that you can set up ad group level negatives to block those product characteristics that aren’t matching what you want. Let’s face it – most people just stick with whatever stock photos the manufacturers send and in some cases, that’s fine. But in most, it’s important to remember that the images you use occupy the bulk of the ad space and this is what users recognize and see the most off. Passing off a stock image that’s less than stellar can mean not standing out from your competition. If you have the ability to invest in professional product photography that better showcases the item in a more attractive way, go for it! In the meantime, test different types of product images in your feeds to find the one that tells the product story and gives the best impression while maintining accuracy. Finding that image means a better-optimized ad that’s likely to see good success. What other questions do you have about maximizing your PLAs? If you’re blocking out the Google ads bot on your product pages, you need to solve this issue ASAP. High privacy settings and missing robots.txt files can sink your entire campaign. To correct, make sure your pages are crawlable and easily indexed and that your robots.txt file isn’t blocking the bot. 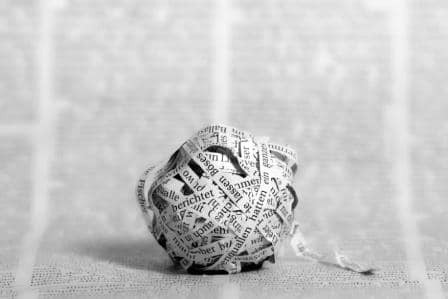 If the Google ads bot can’t see or read your product pages, your entire PLA campaign can fail – and in many cases, this is a reason for a global product disapproval. 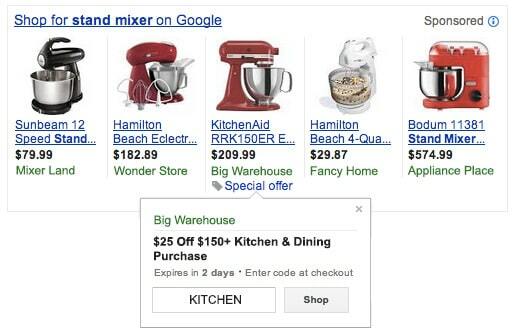 If all of your products go down in your Google Merchant Center account, this may be a possibility. 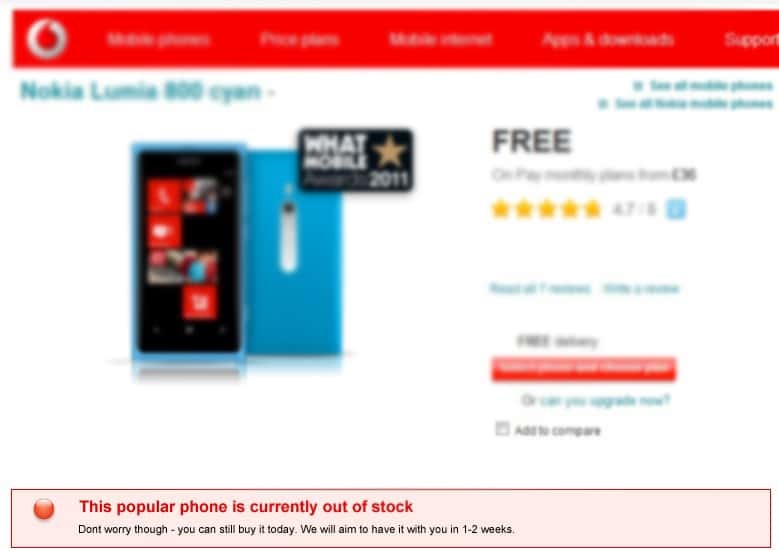 There’s nothing worse than getting to an item that you want and finding out that it’s out of stock – but it’s even worse when you advertise to a customer that it is indeed in stock when it’s not AND you end up paying for the click. Can you say a drain on both your customer’s impression of your business and your wallet? Stop ignoring your stock status field and begin managing this more effectively. This can really help your CPA plus, it creates a better impression with customers. You’ll want to coordinate to ensure that your inventory is well managed and track so that you know exactly when to put up or take down that stock status notice. When it’s out of stock, say it is. When it’s not, say it is. Either way, being silent or wrong isn’t an option. Conversion Optimizer isn not compatible with PLAs, even though the AdWords interface notes that it’s in the form of an alert. When you turn on this feature, your PLAs will stop impressing. It’s a mistake that can cost you hugely. Don’t. Do. It. What other tips or troubles have you run into when it comes to managing your PLAs?